The National Muscle Car Association put a lid on another stellar season of competition at the annual World Street Finals at the legendary Lucas Ol Raceway at Indianapolis on Sunday — the culmination of a hard-faught, six-race tour that took its racers through six different states. The finale was, fittingly, a record-breaking affair packed with intensity, as nearly all of the championships remained up for grabs going into the season’s final day. Jason Hamstra, who was denied the Xtreme Pro Mod title — a crown he had firmly in his grasp virtually all season long — at Indianapolis last year in heart-breaking fashion, was determined not to let another slip away, and he did exactly what he need this tine, charging to victory to seal the title. Don Walsh, Jr. who was locked step-for-step with Hamstra all season, remained the only challenger to Hamstra, the event’s top qualifier, as they entered the second round of eliminations, but Walsh’s exit at the hands of Jackie Slone, Jr. handed the title to Hamstra. With the pressure off, Jason motored through the remaining two rounds, ousting Mike Recchia in an all-blower final, 3.70 (low elapsed time of the event) to a slowing 4.92. Like Hamstra, Geoff Turk did precisely what was needed this weekend to come from behind and claim the Factory Super Cars title from incoming points leader Chuck Watson. Turk clocked an impressive 7.98 to qualify number one, and then backed it up for a national record with a 7.99. He then charged through eliminations, claiming the title in the semifinals are a round two exit by Chuck Watson, and scored a decisive victory in the final over Scott Libersher, 8.06 to an 8.20. In Radial Wars, last year’s championship runner-up Marty Stinnett overcame a disappointing qualifying effort — a third-best 4.43 — to close his season on a high note, running a then-weekend-best 3.95 in the semifinals before defeating David Adkins with a 3.96 in the money round. Rob Goss, a veteran of the Street Outlaw ranks, earned his long-awaited first career NMCA victory, overcoming a barrage of near-record performances by top qualifier Daniel Pharris and newly-minted champion Shawn Ayers to seal the deal with a 4.37-second final round defeat of Ayers. Twenty-two year-old Jordan Ensslin, competing in his first season in the NMCA’s Nitrous Pro Street eliminator, charged from behind on Sunday, making every last point count on his way to the series championship. In doing so, he denied fellow young-gun Jennifer Brooke-Race, the incoming points leader, of her first title. Ensslin, a second-generation racer, qualified atop the field with a record 4.32, alter backing it up for the national record and the points that go with it. Brooke-Rice, in heart-wrenching fashion, bowed out of eliminations in round one at the hands of Randy Dolensek and could only watch as Ensslin survived round after round, sealing the championship on his path victory lane after defeating former Pro Stock racer Tony Gillig in the final, 4.31 (low elapsed time of the race) to a game 4.36. 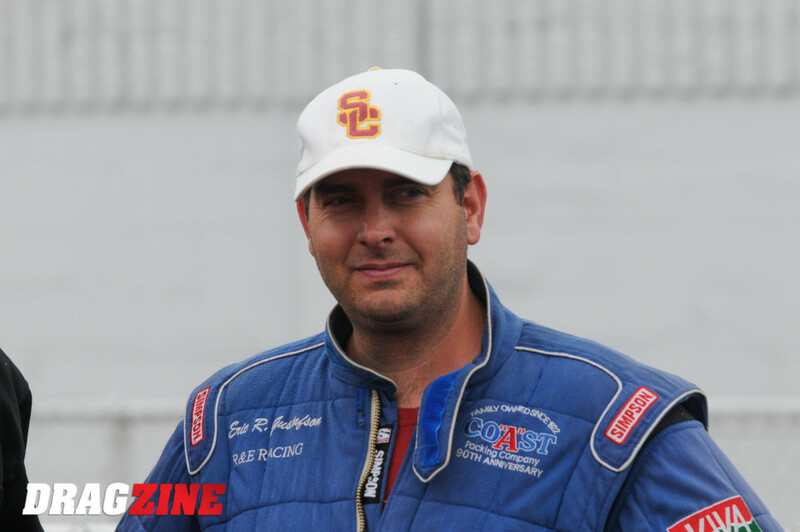 Illinois racer Lou Iacopetti was the picture of consistency in Xtreme Street on Sunday; he qualified sixth with a 4.75, five-hundredths back of leader Tim Knieriem. He set low elapsed time of the opening round with a 4.74, with the only blemish on the day his 5.93-second win in round two In round three, he defeated Knieriem on a holeshot, 4.74 to a 4.73, then punched his ticket to the final with a 4.77-second win over Jessie Coulter in the semis. In the final, a 4.75 was enough to overcome a hot start by Bill Trovato as he drove to victory. Leonard Long, the reigning NA 10.5 series champion, was unable to defend his title in his 2018, but a victory at the season finale ended his year on a high note. Long, who qualified second with a 7.84, defeated Wayne Roberts, Vince Khoury, and Mike DeMayo on his road the final. There, he was to meet top qualifier Robbie Blankenship, but with the Florida racer unable to make the call, Long soloed to victory with a 7.86. 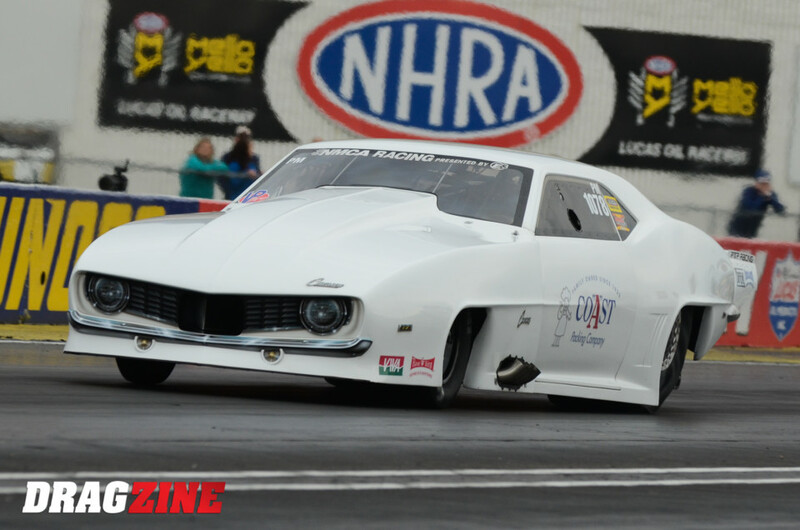 California’s Eric Gustafson has enjoyed a successful debut season in the NMCA’s Xtreme Pro Mod division, driving a relatively unproven centrifugally-supercharged, Hemi-powered combination in the world’s quickest and fastest doorslammer eliminator. Gustafson, who previously competed in the Street Outlaw and X275 ranks, scored his first career Pro Modified victory — and what was the first major series win with a ProCharger — in Atlanta earlier this season, and with a best lap of 3.75-seconds, has certainly been competitive throughout the six-race campaign. But he says there is work to do yet. “It’s been a great season so far. We’ve definitely had some highs and lows, but it’s part of racing. Yesterday you’re a hero and today you’re a zero in this business. We didn’t really know what to expect except to go out and do our best and try to do a ProCharger combination proud and right, but we have a long way to go yet. If you look at some of these other combinations, some great racers have spent a lot of time refining them, and we have only scratched the surface, in my opinion.